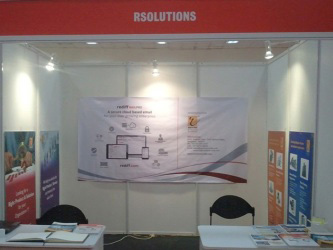 RSolutions was established by Badal Raja, having a prior experience of working with Technology companies. The company was created with the objective of providing optimized and cost-effective IT solutions, and committed to putting a smile on our customers' faces. That's why our brand's mission statement reads as: Your Requirement Our Commitment. Our long-term vision is to bridge the gap between Technology capabilities and User experience. RSolutions has been increasingly working with the latest and leading-edge technologies. 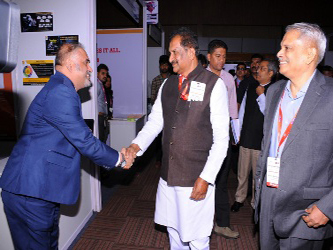 This has been instrumental in the company evolving from a provider of packaged solutions for SMEs, to developing solutions for high-technology companies and new market segments. Some of them being: distribution, business automation, and B2B, B2C e-Commerce. Having implemented more than 1200 projects since its inception, RSolutions is poised for growth into newer horizons and ensuring premium services to its growing list of clients. RSolutions has combined technology expertise with innovation, and caters to multinational corporations, large and medium sized organizations, and the domestic market - providing value-added, and innovative IT solutions in a dynamic business environment. At RSolutions, it is a perennial commitment to ensure clients are not just 'satisfied' but also 'delighted'. Because, we believe, that is what will help us achieve excellence in what we do and raise the bar for employees, consultants, vendors and other stakeholders in our business. Our service offerings are diverse and cater to various industry verticals such as Education, Manufacturing, Fashion, Telecommunication Services, among others. Our consulting engagements vary from a few person-months of effort to as many as several person-years of effort. We believe we have made a mark on the ever-changing IT landscape. We hope this website gives you a broad view of our capabilities and helps create a new and long standing business relationship. The mission statement Your Requirement, Our Commitment reflects RSolutions's long-term vision and commitment to bridge the gap between Technology capabilities and User Experience. Keeping its clients on the leading edge of Information Technologies that add significant value to their business. Creating a long-term relationship with every partner by combining innovative and cost-effective solutions, with a solid base in support and maintenance. Educating every client and helping them to quickly adapt their business models to new opportunities available through the Internet. 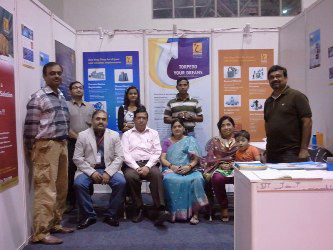 Constantly adapting and broadening its range of services to reflect future needs of customers. Closely listening to clients'/customers' requirements and provide customized and optimized solutions that will delight them. RSOLUTIONS aims to thoroughly understand our client's industry, offerings and business models, in order to establish clear and reasonable goals and objectives, for creating innovative, cost-effective and scalable solutions for their organization. From non-profit organizations to large corporates, we have the expertise and capability to develop solutions that are uniquely suited to their Business goals as envisaged by their Business Plans. This way, RSOLUTIONS will strive to integrate the solution into the organization's business model and maximize return on their IT investments. Very comprehensive and well-documented Quality processes form an intricate part of our development process. Our internal processes and workflows are aligned to help us achieve targeted results from every solution. Business processes are monitored and integrated into IT services across the entire organization. We aim to continuously improve our processes and take them to a higher level of maturity and establish an environment that enables effective software development and management processes across all projects. We execute projects with dedication & passion. We are equipped with the necessary technical capabilities to support all initiatives. We believe that technology can make life simpler, if used effectively. We advocate the use of new technologies that enable us to customize our solutions to individual customer needs. We communicate openly with our customers and foster a relationship of frequent feedback and interaction. We provide 24 x 7 support to our esteemed customers. Would you like to know if we identify your needs well? Click here to find out more. If you are interested in learning more about our services and what we cover, please check out the Solutions/Services section. In a globalized business environment, IT Solutions for business application need to be time-tested, proven, client-enabling, efficient and optimized. RSOLUTIONS is not only committed to client satisfaction but also client delight, which ensures that its solutions are evolved out of high-integrity software technologies. Assessment of the Client's Needs. Measuring Constraints (like time or costs). Studying Technology Compatibility with Clientsâ€™ Business Models. Devising a business compatible plan and implementation. Providing reports to keep the clients in the loop and facilitate monitoring of the project status by the clients. Setting goals and creating a plan - Begin design process: Clients to choose color and font options, make recommendations, have an option for inserting current marketing collateral into the web design, finalizing the color and font scheme, developing Graphic compositions. RSolutions ensures an effective and highly intuitive navigation system built on a hierarchical system is used in order to facilitate a comfortable user experience irrespective of the clientsâ€™ complex solution architecture. RSolutions provides as many compositions as the clients require, specific to the budget. We normally produce two designs per template. Based on the clientâ€™s feedback, we modify the composition as needed. After another round of feedback we normally have a finalized and approved composition ready for production on HTML. RSolutions takes the approved XHTML templates and uses the layout to build additional text pages to be used for back-end programming and scripting. RSOLUTIONS then works with you to develop back-end programming and scripting that fits within your budget, varying from simple HTML/VB/Java scripts to simple or complex ASP/ASP.NET/VB/ HTML5/MDB/SQL/Oracle database applications. In short, we partner with you to provide the best and most cost-effective solutions. Many clients require custom solutions as well, that must fit into their budgetary constraints. In the next stage, RSolutions will deploy your web/enterprise solution(s) on a robust and stable UNIX/Linux/NT/2000 server and set up any supporting technologies that you need, like email. RSolutions will then thoroughly test your web/enterprise solution(s) and simulate high bandwidth loads to make sure that everything is working. Once we've done the QA tests, and the clients have also tested the solution for themselves, we launch your web/enterprise solution(s) to end-users. RSolutions is always at your disposal to support any change requests or in case, something isn't working. RSolutions is happy to provide ongoing maintenance should you require it. There are various plans that give our clients the peace of mind that their changes can be done within hours, for rush jobs, and within specified times, for normal maintenance work. Others may want to have RSolutions update their content periodically at preset intervals. Either way, we are there to support your needs. The greatest leverage achieved in a service industry like ours is through building relationships. Strong and lasting relationships are founded on value. From the initial engagement until the completion of a project is the crucial period of time when a relationship is forged. At the end of this period, the customer is aware in no uncertain terms, of the value contributed by the service. This forms the bedrock on which a long-term relationship is founded. There is no greater joy for us than to see business growth facilitated by the value we offer in our services and grow along with our customers. We believe that this will be the only sustainable competitive advantage of the future. Therefore, we are committed to relationships and long-term collaborative partnerships. We will be interested in not only building applications, but also managing applications so that our best skills can truly compliment a business.